That helped a ton, thanks. I've made the changes I wanted to. adding a selfmade one seemed to work for a little while, and modifying the HudChat values in hudlayout made changes SOMETIMES but hud_reloadscheme wasn't affecting it properly. I'm guessing you just want to change the position on screen, which is done through the HudChat element in basechat.res and not through the HudChat element in hudlayout (which afaik does nothing). If you need a basechat, just grab one from a "good" hud. 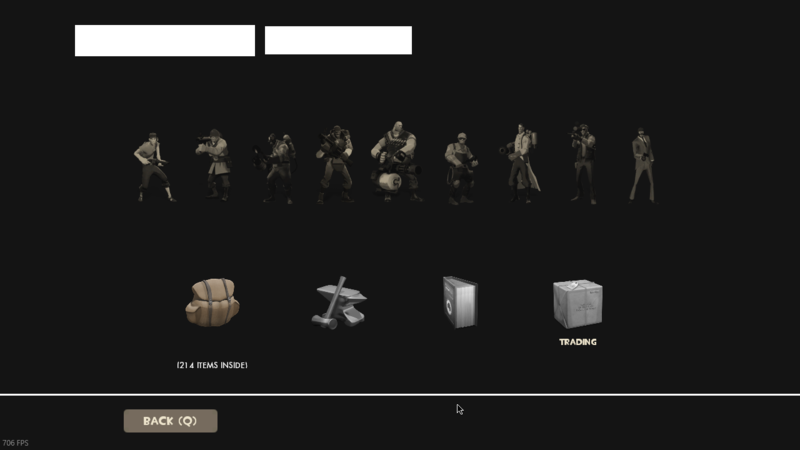 I'm not sure why basechat isnt in tf2basehud. id be inclined to agree with the HudChat in hudlayout doing nothing but yesterday i set the xpos ypos to 0 0 and width height to f0 480 and hud_reloadschemed which made the chat box the entire size of my screen. the score/streak/ping panels are all fucked up, could anyone help me with this? "fgcolor"		"12 12  12 255"
"FgColor_override"	"12 12 12 255"
"fgcolor"	"12 12 12 255"
I tried that and it didn't work for me. I ended up duplicating the targetnamelabel by making a targetnamelabel2, then moving the original targetnamelabel out of sight with a ypos. That way, the targetid still stretches to the name of the target. Yeah I tried that and it fixed it, but I use tanlight for other things aswell so that's a problem. omni collycat JBIs the name and data fgcolor in the targetid defined somewhere else aswell? Changing it in targetid.res doesn't change anything, still looks like this: tanlight in clientscheme I tried that and it didn't work for me. Yeah that worked as well, it's working now. Thanks guys. Is there a way to change the wording of this? Thanks. Is there a way to change the wording of [url=http://i.imgur.com/hHRKAge.png]this[/url]? Thanks. how do I change the size of custom crosshairs? I use the rayshud konrwings but it's really big, how do I make it smaller? how do i remove the boxes around the health, ammo, map time and scoreboard on Improved Default HUD? My background of my main menu suddenly changed to this. Also,everytime i load a map,instead of showing the stats,it shows the stats AND the main menu. That's the backgrounds for full moon, I believe you have to replace the material files. your mainmenuoverride is missing lines, compare it to the default and make the changes accordingly, you dont need to touch custom material files. There are several files in resource/ui for each building. 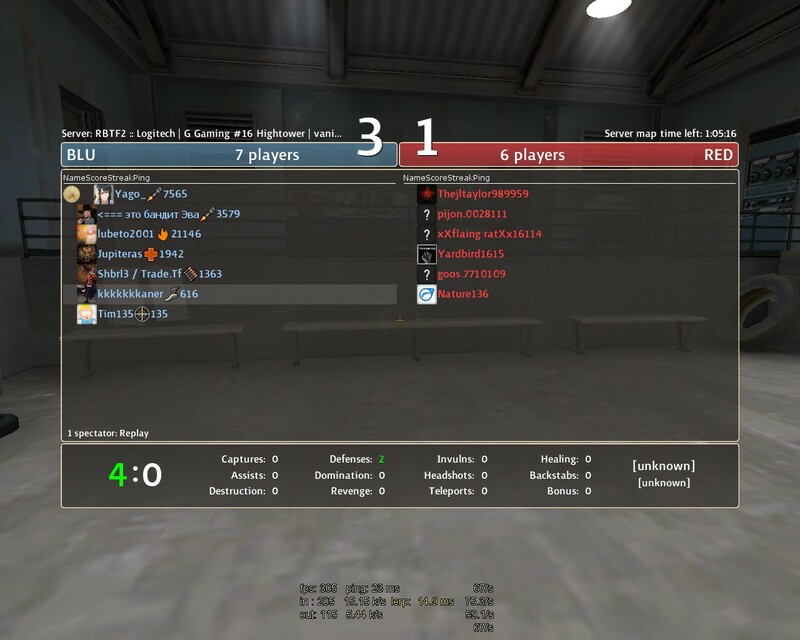 Valve blocks colors in scoreboard or somthing changes? also on the subject of engineer buildings, when im dead the building status display goes up into the corner. how to i fix this? Can someone help me in editing this menu? In "Adv Options",Only "tions" bring up the window. Quit doesnt work,so i have to type quit in console everytime i want to quit. Also how can i get rid of the ewn user forums and offline practice buttons? [*] In "Adv Options",Only "tions" bring up the window. [*] Quit doesnt work,so i have to type quit in console everytime i want to quit. [*] Also how can i get rid of the ewn user forums and offline practice buttons? SmesiCan someone help me in editing this menu? The server browser and create server buttons are "overlapping" the options and advanced options buttons. Same goes with the quit button, it seems like the option/create server button might be too tall. You'll have to change the wide/tall values of the text boxes around a bit. Doing vgui_drawtree 1 in the console and then ticking the "highlight selected" box should help you visualize what values they need to be. [quote=Smesi]Can someone help me in editing this menu? mouseoveritempanel background color changes to transparent on default items even when I manually set a black background. if i mouseover a normal item first it is fine, if i mouseover a gunmettle item and then go back to a normal one it goes transparent. im gonna blow my brains out, help. flame, the gun mettle items revert the mouseover panels to use the LoadoutItemMouseOverBorder in clientscheme. If you've set your mouseover panels to have a custom border, remove that border and let the game use LoadoutItemMouseOverBorder by its own accord. advanced options , font color for the items and checkboxes?